Your traffic accident solicitors – the experts in compensation claims. If you or a member of your family has been injured in a traffic accident that wasn’t your fault, you could be entitled to compensation. Recovering from a car accident can be difficult and may take time. Our specialist personal injury solicitors are here to help you get your life back on track. Our traffic accident solicitors can help you access the support you need including medical treatment and rehabilitation. We pride ourselves on providing a sensitive and supportive service and understand that winning compensation is often just part of the journey. Our lawyers are APIL (Association of Personal Injury Lawyers) accredited specialists, which demonstrates our knowledge and experience in this complex area of the law. We have strong relationships with leading medical professionals and experts, so we can give you the very best advice about your claim. Tragically, each year almost 30,000 people are killed or seriously injured in traffic accidents across the UK. Although most road traffic accidents are minor, resulting in a bumped bonnet or mild whiplash, others can cause serious life threatening injuries and sadly some are fatal. The Road Traffic Act 1999 means you are able to claim compensation for a traffic accident that wasn’t your fault. However, to give you the best chance of successfully claiming compensation it must be clear who caused the accident. Our traffic accident solicitors can help you claim for any loss of earnings – now or in the future – caused by your injuries. In addition, you can claim for the cost of your medical care and vehicle costs. Your car accident lawyer can make sure you claim for everything you’re entitled to. How do I claim compensation after a road traffic accident? Our specialist traffic accident solicitors are experts in dealing with road traffic accidents and can talk through your situation with you over the phone, or face to face if you prefer. You will be assigned an experienced car accident lawyer who will keep you up to date with your claim throughout the process. We can provide you with some initial free advice to help you decide if you wish to proceed with making a claim. You may be able to claim compensation if you were in an accident involving a bus or coach, a hit and run, an uninsured driver, a pedestrian, a car or motorbikes and cyclist. Whether were the driver of a vehicle, the passenger or a pedestrian, you could be entitled to compensation if you were not at fault. We understand that winning compensation can make things easier with some injuries requiring people to take time off work, travel for treatment or make alternations in their homes. Our dedicated traffic accident solicitors will do everything they can to ensure your life can return to normal as soon as possible. Find out more about how no win no fee claims. 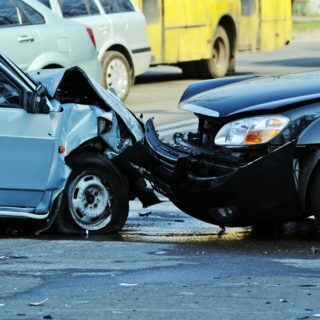 How long do I have to make a traffic accident compensation claim? Speak to us as soon as you can, so our traffic accident solicitors can start helping you through the process of claiming compensation and getting any other support you need. How much compensation could I receive from a car accident claim? Every injury is different, so it is important to get expert advice from a car accident lawyer who really understands the unique nature of each personal injury claim. The amount you can claim will depend on a number of factors, such as the severity of your injury, as well as any financial losses you have suffered or lifestyle changes you have made as a result. Our specialist traffic accident solicitors have the experience to ensure you get the compensation you deserve.